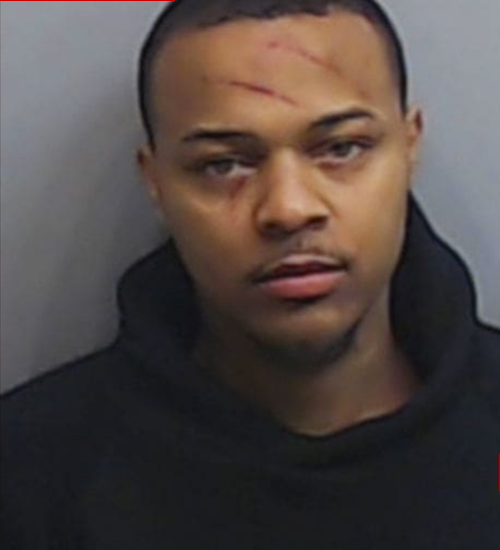 Bow Wow was arrested in Atlanta last night for battery on a woman, and the woman was arrested too. Details on who she might be and what went down inside. [UPDATE 2] Confirmed: Leslie Holden is Kiyomi Leslie. Kiyomi’s mugshot has been released in the battery case with boyfriend #BowWow. Cops said both were arrested because visible injuries were seen on both. Around 4:15AM this morning, cops were called to rapper's Bow Wow's location in Atlanta after some sort of dispute between him and a woman, according to TMZ. When cops arrived, they saw minor injuries on both Bow Wow and the woman. The both accused each other of battering the other. So cops arrested them both. The woman has been identified as Leslie Holden. While the site states they couldn't find what the connection is between the two, it may be because Leslie Holden could be a government name. Bow Wow's on-again, off-again girlfriend, "Wild N' Out" personality & IG model Kiyomi Leslie, is also in Atlanta this weekend and was at the same pre-Bowl pop-up shop as Bow two days ago. Bow & Kiyomi were on-again as recently as December 2018. While we haven't yet confirmed whether or not Kiyomi is KL's government name, it's not unusual for industry models to use industry pseudonyms. We can't yet confirm or deny if the woman is Kiyomi Leslie. We do find it quite interesting that Leslie is part of Kiyomi's name, and she is currently in Atlanta and at the same event as Bow Wow. Earlier in the night, Bow was at Shaquille O'Neal's SB event called Shaq's Fun House.